Lauki / Dudhi or Duddhe [in Konkani] is a healthy vegetable. 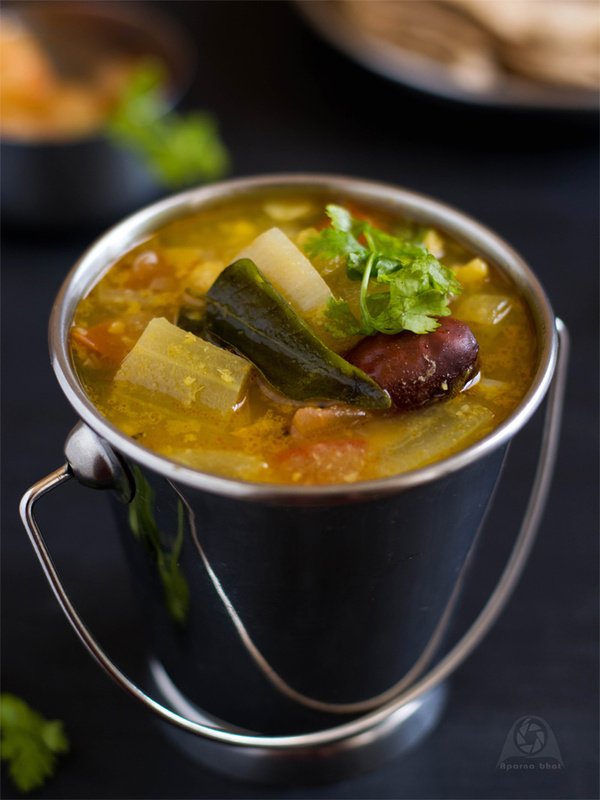 Today's recipe includes this vegetable cooked in combination with chana dal. You may use any other dal if you don't have chana dal stock. Recipe inspired by Archana Shenoy. 1 cup chana dal, soaked for 15 minutes. Pressure cook soaked chana dal for 3 whistles and switch off. Let it cool. Once it cools mash the dal and keep it aside. 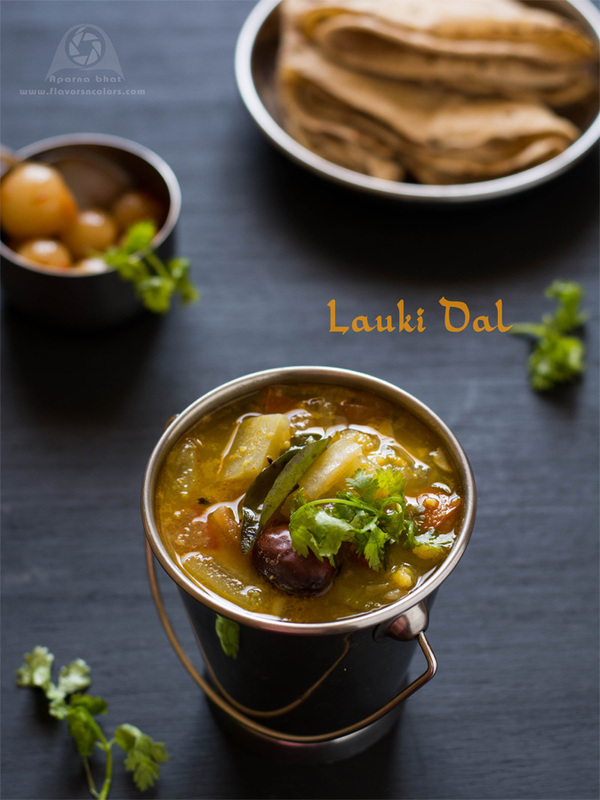 Boil the diced lauki, chopped onions and garlic in a separate vessel [Take care not to overcook the lauki]. Add a tsp of ghee and pinch turmeric while boiling the vegetables. Meanwhile, heat 1 tbsp ghee in a kadhai/ pan. Add cumin seeds and once it splutters add round red chillies, turmeric powder/ haldi and chopped onions. Saute it until the onions turn translucent. Add chopped tomatoes and stir it for few minutest. Once the tomatoes get cooked, add chilli powder, salt to taste and little water. Then add the mashed dal, cooked vegetables to the tomato mixture and bring it to a boil. Garnish with chopped coriander leaves and serve it hot phulkas or hot rice. Sending this post to side dish mela event.